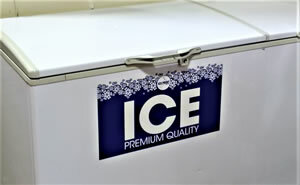 Ice Point manufactures premium cubed Party Ice for the hospitality industry - New Zealand wide. Party Ice is a filtered, purified product which meets exacting food safety standards, and is suitable for putting directly into drinks or any application where food or beverages need to be chilled directly. Party Ice is typically supplied in 3Kg retail packs; however, we can also supply it in 10Kg catering packs for bulk requirements.